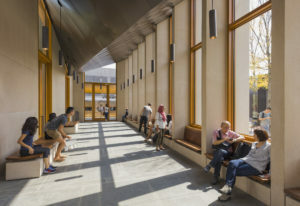 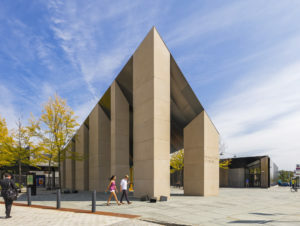 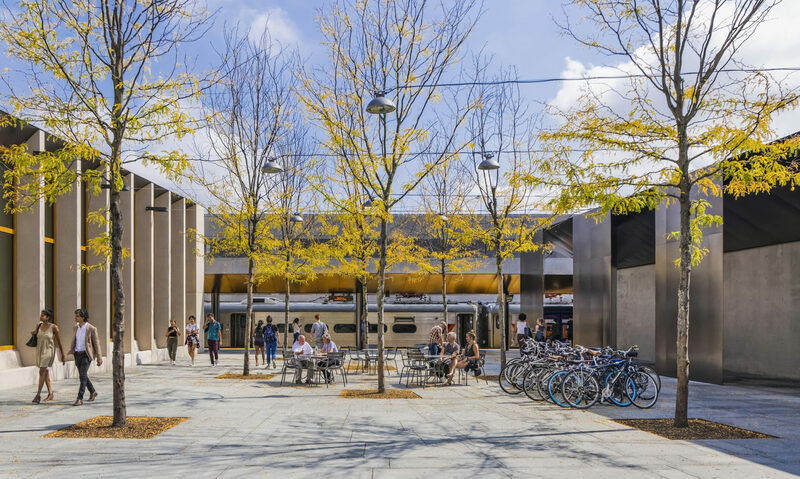 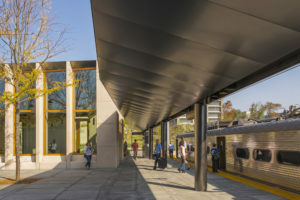 Simultaneously a nod to and a departure from Princeton University’s typical Collegiate Gothic architecture, the Princeton Transit Hall’s peaked profile emerges on a corner of campus where commuters and students converge. 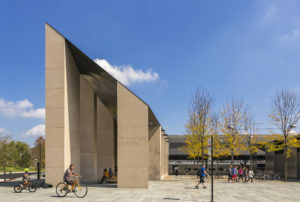 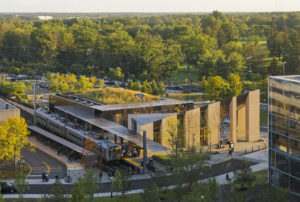 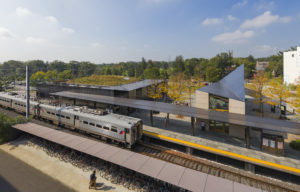 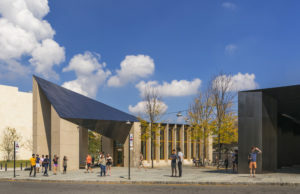 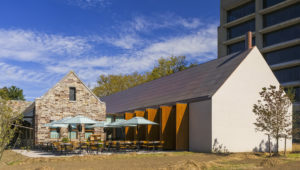 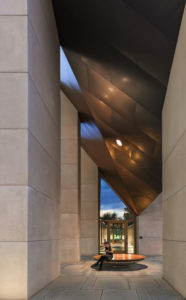 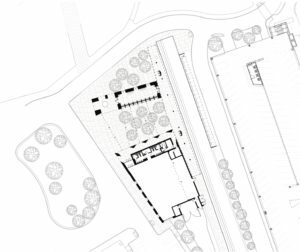 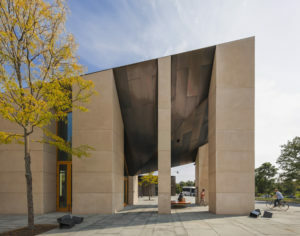 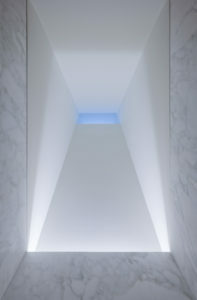 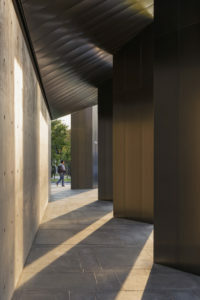 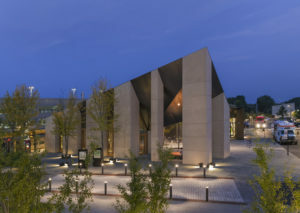 The elegant form of the hall, whose steel roof sweeps across sandy concrete columns of varying widths, contrasts the low-slung, dark form of the convenience store that flanks the other side of the adjacent bluestone arrival plaza. 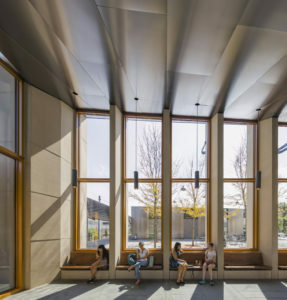 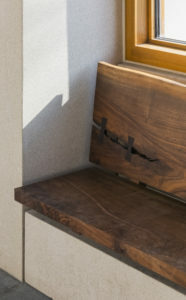 Black walnut benches, white oak window frames and custom pendant lights emit a soft glow and lend the space a welcoming warmth.